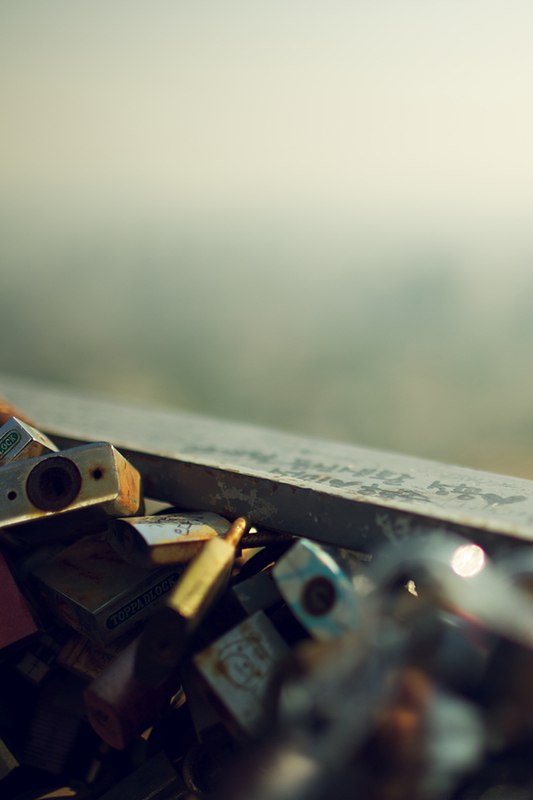 While in Seoul last time I had the chance to go see the notorious collection of padlocks collected along an observetory fence at Namsan Tower. 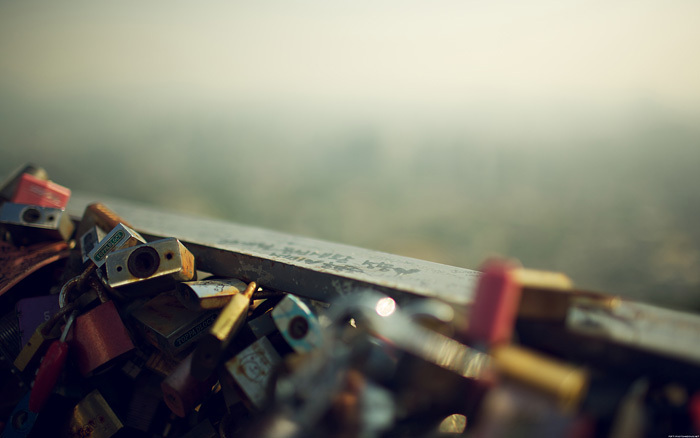 These padlocks are locked to the fence, often with a short message, as a binding symbol of love between two people. They key is often trown away to seal the deal. From what the collective mindset at Wikipedia can tell me the idea was born in China and has since spread to numerous spots around the world. Thousands of locks all pilled up over the years and it was pretty amazing to see such a sight if not once at least. I know things slowed down around here this past week or two but I have not been sitting on my hands. I have been working morning to night for two straight weeks running and next week is looking just as busy. For those that don’t know this is live audio work that I refer to. I can’t remember the last time I went this long without having a break. It’s making it hard to get this new design up and going! I hate doing it but it looks like I will have to push it back a little longer. Despite the busy schedule I did want to come on, say hello, and share a new image with everyone. I’ll do my best to get more up this week as well for your thirsty eyes. In Florence, locks are put on Ponte Vecchio for when the person is leaving their home, Florence, but for an extended amount of time (not a vacation). They do that in Cologne as well. You see the lovelocks when you go over Hohenzollernbrücke by train. I wanted to second Carsten, I came across love locks while studying in Germany and visiting Köln. It is incredibly beautiful to see them, and I was told the practice there is for lovers to toss the key off the bridge into the Rhine River so the lock would not be able to be removed, like their love. Our tour guide then asked us how we thought you could tell an insecure man. The answer was someone who bought a lock with multiple keys, and kept one to himself. And the other side of the bridge had even more locks. Love all your photograph but this one is awesome. geez louise famous career man, nice one, glad to see you are coming up for air. hope you make it. It’s just behind Notre Dame de Paris. Missed you the other night, but glad you have lots of work coming your way. 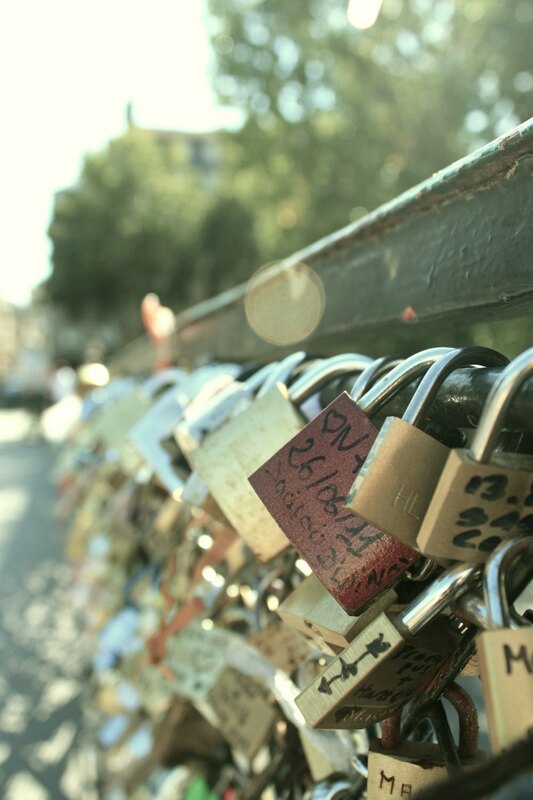 I’d never heard of love locks until I saw this video, which I watched because Darah and I were discussing it at Val’s. And then here is the concept again with your love-ly photo and info. Interesting! Good luck with everything on your plate. And as always, thanks for sharing all your amazing work! 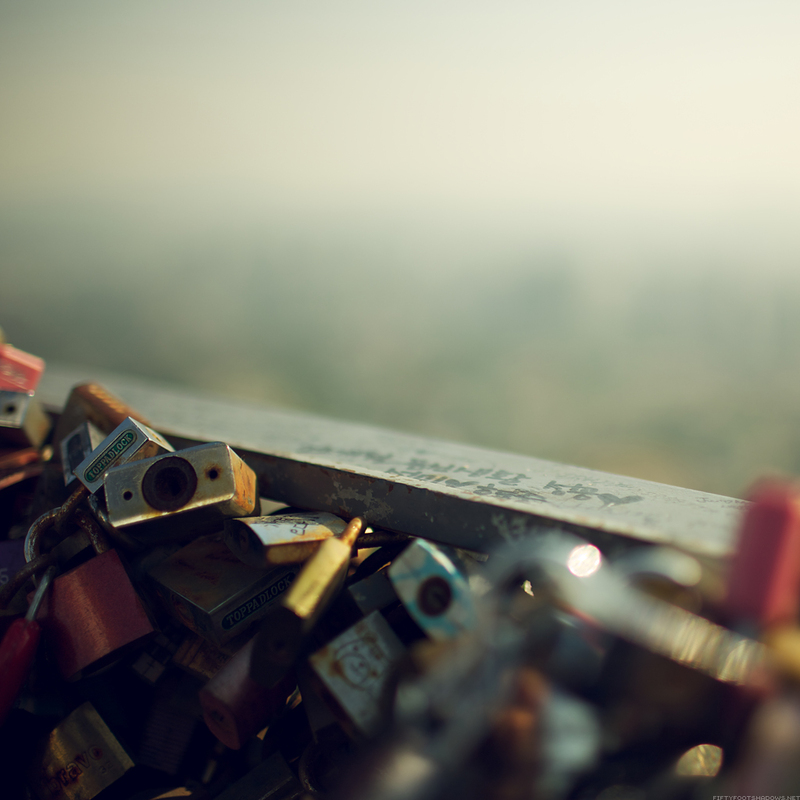 Awesome Lovelock photos! We would like permission to use your photos on our website. We would be honored actually…please let us know. Lovelocks ROCK! Hello? I am korean. I was surprised to see this photo. Seoul is seen from a stranger’s eyes It’s so beautiful. ahah a.. very nice photo ıts professional.. I stumbled across a bridge in Paris which was also covered in locks ( photo on this post http://aintlifegrand.me/index.php/2011/12/time-in-paris/ ) and if it wasn’t for this I wouldn’t have had any idea what it was. It was an amazing sight. Such a beautiful idea. Thanks so much for these photos!! There are absolutely wonderful.